When Miss Seeton walks out after a performance of Carmen and witnesses a real-life stabbing, all she can recall is a shadowy figure. But how could she have guessed that her latest artistic endeavor is a picture-perfect portrait of the killer? Her sketch puts her in a perilous position, for back at her recently inherited cottage in Plummergen village, she's fated to be a sitting duck...for murder most foul! 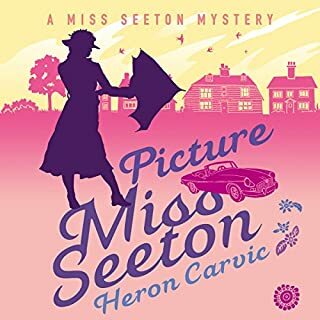 What made the experience of listening to Picture Miss Seeton the most enjoyable? The narrator had the right tone of voice for the characters. It was beautifully narrated. The story was a quintessential English mystery story in the ilk of Miss Marple. The interaction of the characters was written with humour. What was one of the most memorable moments of Picture Miss Seeton? I think the opening was quite memorable, it draws you in so that you want to hear what mystery lies behind the murder. You are trying to picture the opera she has just left, when the story takes hold with Miss Seeton witnessing a murder. No one scene jumped out, but I loved the fast paced conversations held between Miss Seeton & the other characters. It certainly made me laugh. I would suggest curling up on the sofa with a pot of tea, a tin of biscuits or a large piece of cake & settling down to listen to this delightful audiobook. 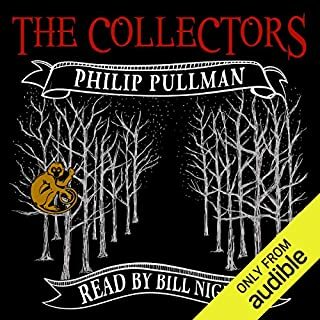 Loved it, Bill Nighy the perfect narrator for this tale. A great addition to the collection. Thank you audible for the gift. 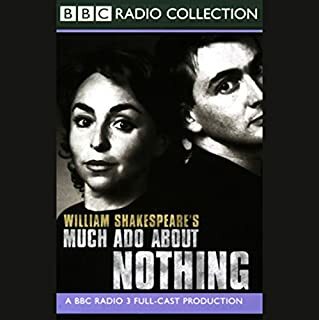 BBC Radio has a unique heritage when it comes to Shakespeare. Since 1923, when the newly formed company broadcast its first full-length play, generations of actors and producers have honed and perfected the craft of making Shakespeare to be heard. A fantastic version of one of the comedies. A brillisnt tale of love, confusion & betrayal. The cast is brilliant, & I would recommend this version to any Shakespeare fan or English literature student.